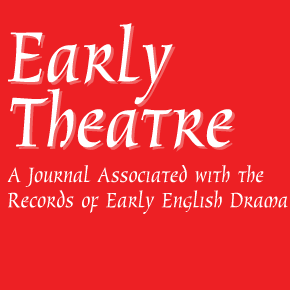 Early Theatre is a peer-reviewed journal that welcomes research in medieval or early modern drama and theatre history, rooted in the records and documents of England, Scotland, Ireland, and Wales. We likewise encourage articles or notes on related materials either in Europe, or in parts of the world where English or European travellers, traders, and colonizers observed performances by other peoples. Although we are primarily interested in the performance history of any art, entertainment, or festive occasion of the period, we also invite submissions of interpretive or literary articles relating to the performances themselves. Back issue fire sale on now!